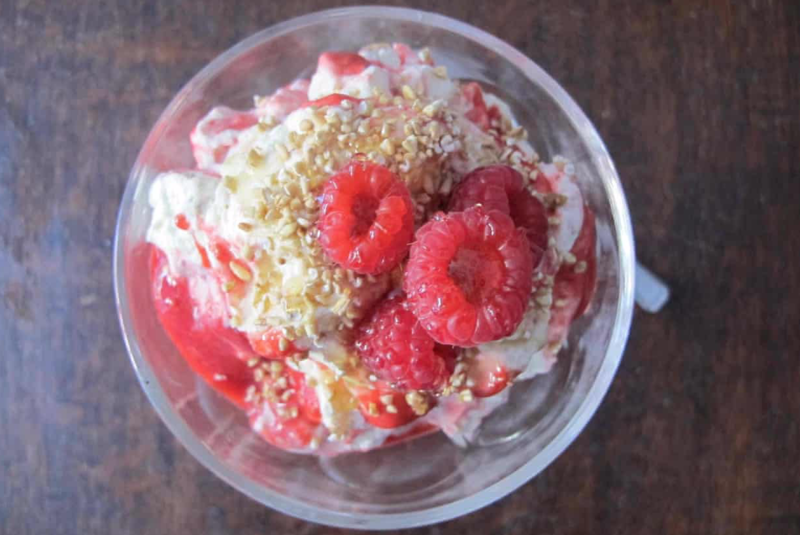 Although cranachan is mainly enjoyed at big Scottish occasions like Burns night and St Andrew’s day, this popular Scottish dessert was originally created to make the most of the fruits of the Scottish summer harvest. This centuries old favourite was originally referred to as ‘cream crowdie’, due to use of crowdie, a soft and spreadable cheese, similar in texture to ricotta, in place of cream. 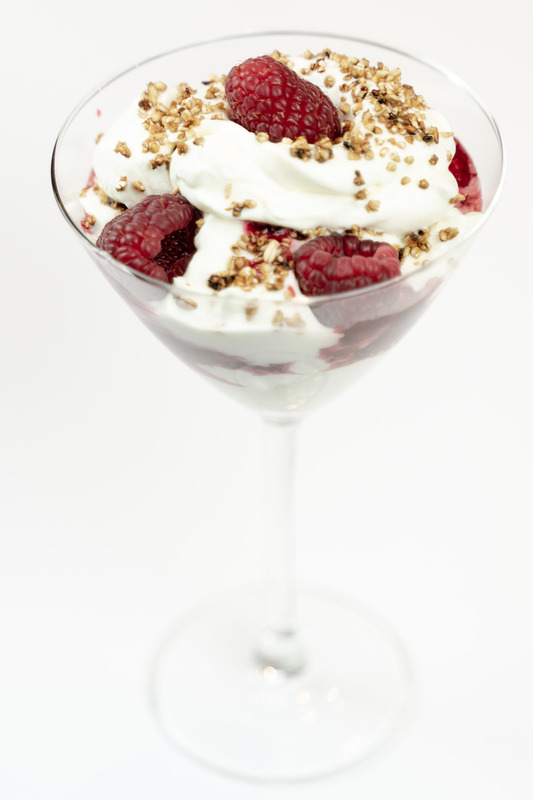 Most modern day recipes use variations on softly whipped cream, toasted pinhead oatmeal, and fresh raspberries, brought together with honey, sugar and fine Scottish malt whisky. In the past, these different components would have been laid out in bowls on the table, and diners would have mixed their own cranachan according to taste. Today it is most often enjoyed layered in glasses, although some people prefer to serve it in a large bowl like a trifle. Our traditional cranachan would provide the perfect end to any Burns supper, St Andrews Day feast, or as a sweet treat on a sunny afternoon. 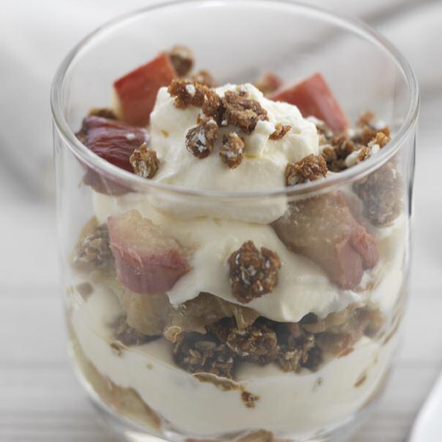 Scottish chef Nick Nairn uses rhubarb instead of raspberries in this rhubarb and ginger cranachan recipe. The recipe includes a caramelized oat crumble, and rhubarb lightly cooked with butter, sugar and fresh grated ginger. It’s really delicious. 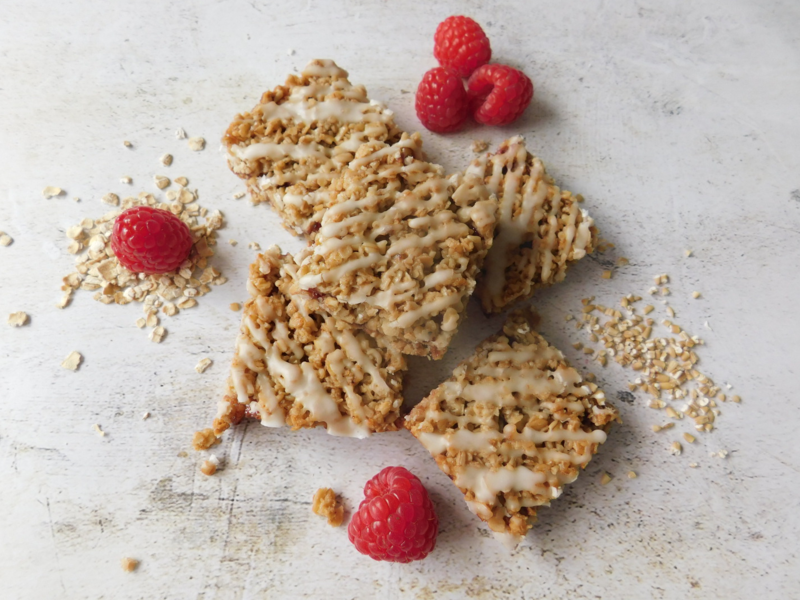 If you’re not one for creamy deserts, try making these simple cranachan flapjacks with raspberry jam and a whisky icing drizzle, created by Foodie Quine, Claire Jessiman. You can use normal icing if you’re not keen on whisky. They’re easy to make, and very moreish. It’s also worth checking out Felicity Cloake’s Guardian article, documenting her quest to discover the recipe for the perfect cranachan.